William Henry Cosby Jr. was born on July 12th, 1937 in Philadelphia, Pennsylvania. Nicknamed “Bill,” he grew up in Philadelphia and had three brothers. His mother was a maid and his father was a U.S. Navy sailor. In school Cosby was a class clown as well as jock who played baseball and many other sports. He attended Mary Channing Wister Public School and became the class president, even though teachers realized he was more of a jokester than a bookworm. Once in junior high Cosby started to act in addition to playing sports, and both hobbies followed him to Central High School. Although he had a busy schedule of sports and studying, he still worked odd jobs throughout his time in school to help his family pay the bills. After transferring to Germantown High School he failed tenth grade and got a job at shoe repair shop instead of repeating that grade. Although he liked the job at the shoe repair shop, he did not see a future with it and decided to join the Navy. Cosby was a hospital corpsman for four years, but his lack of education made him realize he needed to finish school. Soon after this he got his equivalency diploma and attended Temple University in Philadelphia to study physical education. All throughout college Bill focused on his humor and fine-tuned his talent for telling jokes. This led to him working at a bar in Philadelphia, which is where he really got to test his jokes and make customers laugh. After he realized his humor got him more tips he decided to pursue a career in comedy. He performed small gigs throughout Philadelphia before he went to New York City in 1962. His popularity began to grow and he was soon traveling all over the United States to perform his comedy routine. His big break came when he appeared on “The Tonight Show” in 1963. This led to him getting a recording contract with Warner Bros. Records, and his record was released in 1964. In 1965 he was cast on the television show “I Spy”, which resulted in several states dropping the show because he was the first African-American co-star on television. Other people were by with the show and Cosby stayed on it, winning him Emmy Awards throughout his career. Cosby still did comedy routines on television, and even turned down a contract to leave his label in 1968. 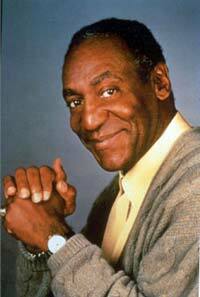 Bill’s success really came when he got his own television show “The Bill Cosby Show,” in 1969. This comedy ran for two seasons, and Bill returned to the University of Massachusetts Amherst when it was over. He got his MA from this school and then was asked to do “The New Bill Cosby Show,” which was a variety series. He also got the Saturday morning show “Fat Albert and the Cosby Kids,” which was wildly successful. After continued success, Cosby debuted “The Cosby Show” in 1984. This show ran until 1992 and was extremely popular with viewers. Cosby has done several films and television shows since then, and still does stand-up routines around the country.